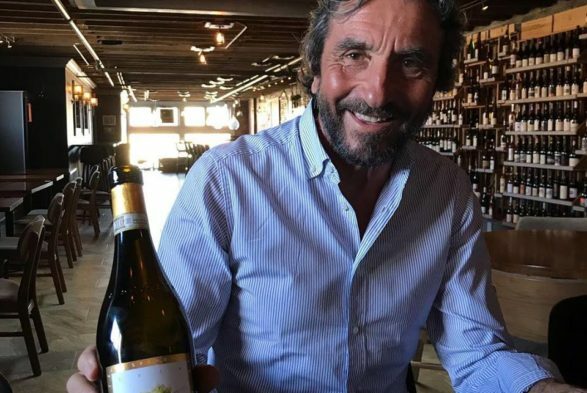 Last week, FLG Terroir was graced by the effervescent Giorgio Rivetti, lead winemaker at La Spinetta in Piedmont, Italy. He took us through La Spinetta’s history as a winery and vineyard, bottle by bottle. So captivating was his passionate spirit behind the winemaking process that tasting each wine was its own flavor journey. From the floral, delicate 2017 Moscato d’Asti to old vine 2015 Barbaresco Starderi, one could taste the terroir kaleidoscope. He explained that the real winemaking is done in the vineyard itself. He emphasized that one must first start with great fruit in order to make great wine. Attempting to make up for poor fruit in the winemaking process comes through and people are left with sub-par wine. He likened it to a chef creating a magnificent dish: the chef must first have quality ingredients. The magic of La Spinetta’s wine is in its attention to the very grape itself. There are no tricks, there are no shortcuts. There is a seamless flow of nature that runs from vine to glass. Mr. Rivetti explained that a few decades ago, there was a push to farm grapes using traditional and organic methods. This means that all of the wine made at La Spinetta is done so organically. We think that’s a pretty big deal. And, because we carry two different bottles of ravishing varietals from La Spinetta, you get to benefit from this conscious farming effort. Come in and enjoy either the Moscato d’Asti or the Sangiovese, or both!